The last time I was at Kew the Temperate House was still being renovated. It reopened in July after a five year restoration project. 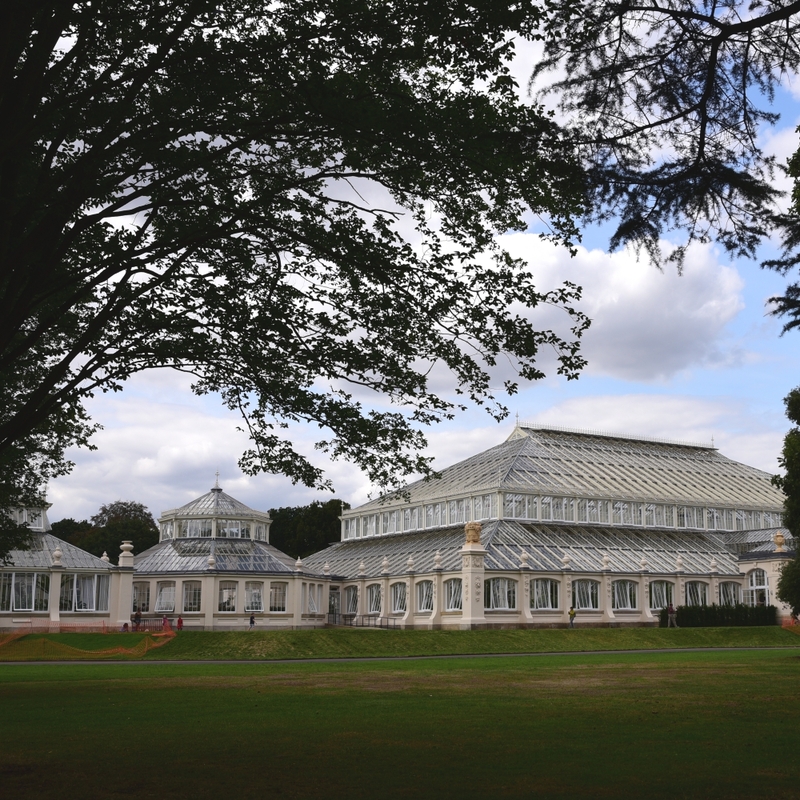 Like The Palm House, it was designed by Decimus Burton and opened to the public in 1863. The Temperate House is twice the size of its neighbour and is the largest Victorian glasshouse in the world. As the temperate zone is where most of the world's population lives many of the plants here face the combined threats from climate change and human population growth. Indeed The Temperate House contains the only known living specimens of some plants. 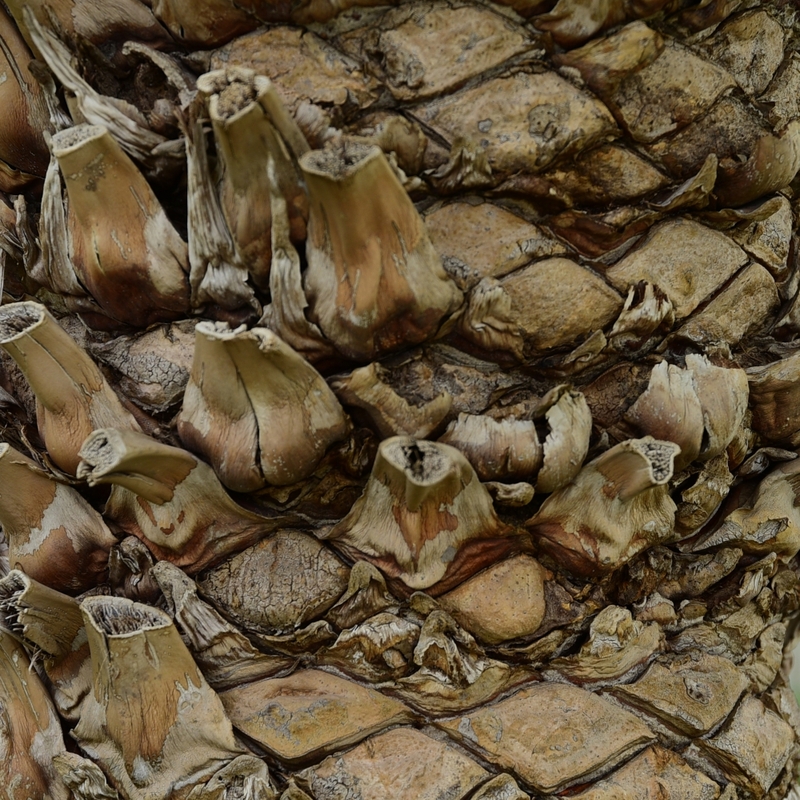 Like Encephalartos woodii, a cycad from South Africa. Only one has been found in the wild and an offshoot was sent to Kew in 1899. It is a male and no females have ever been found. The Temperate House is divided into zones representing Australia, New Zealand, the Americas, Asia, Africa, the Himalayas and 16 islands. Many of the species housed represent human, animal and insect food, garden plants, plants with cultural uses, plants used in building, manufacturing and medicine. 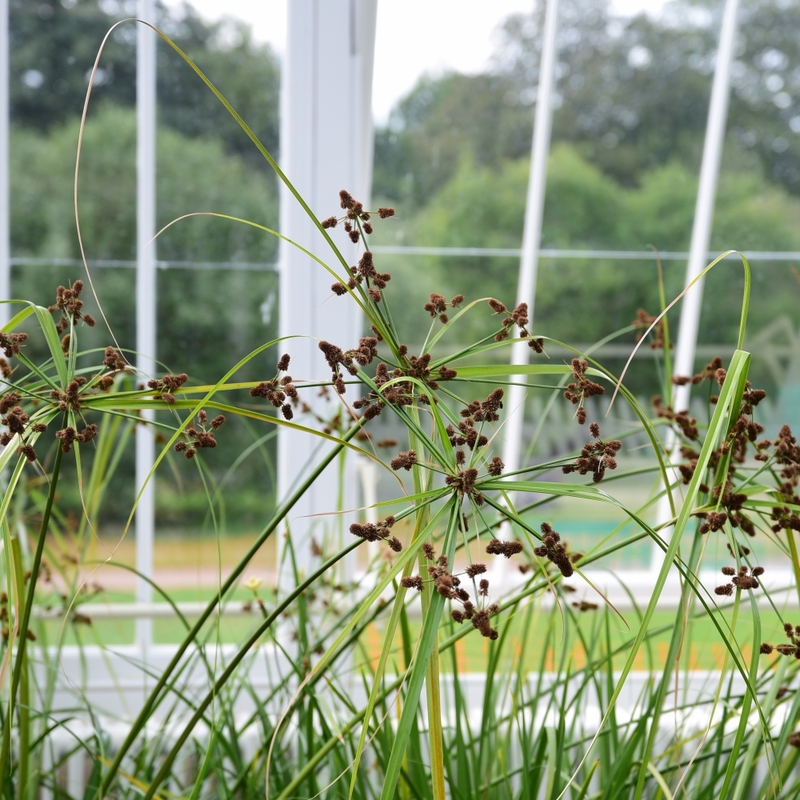 Kew safeguards their future by banking the seed at its Millennium Seed Bank in West Sussex. The light in The Temperate House is beautiful. On a sunny day the shadows from the structure run across the leaves and paving. As the plants grow this will probably become less of a feature. For now though it looks very modern, if only more conservatories looked a bit like this. 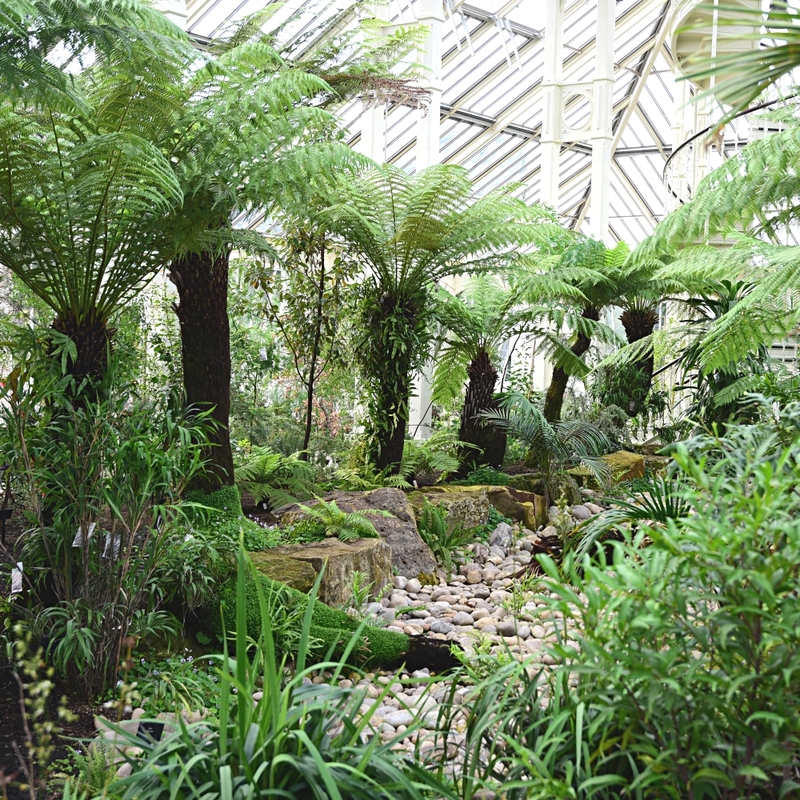 As part of the renovation there has been an effort to make the glasshouse more of an experience than just a scientific collection, with a waterfall and a dramatic collection of tree ferns running along a dry riverbed. The Temperate House contains plants not quite hardy enough to survive an English winter. However, I think with the right care and location in your garden, in London you might risk planting tree ferns. The false banana, Ensete ventricosum below, and exotic gingerlilies, would defintely need to be brought inside though. That's fine if you've got somewhere suitable to house it, otherwise best leave it to Monty Don. To truly appreciate the splendour of the architecture you can climb the spiral stairs to the gallery and get a view of the central area. I look forward to seeing how the planting develops. It's almost worth the £17 entry fee to Kew Gardens on its own.